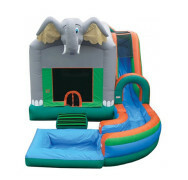 An elephant greets you with this delightful jungle-themed water slide! 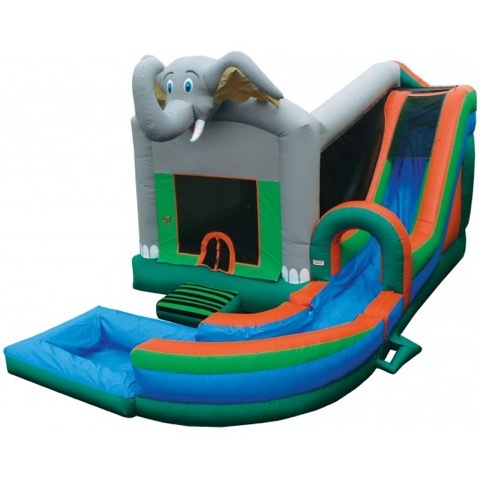 It’s a great choice for any park event or carnival. 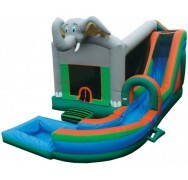 Inside are a basketball hoop and jump area, and a long water slide shoots off the side. 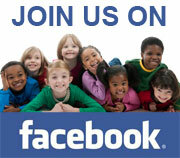 Kids can dive out of the pool and right back into the fun! 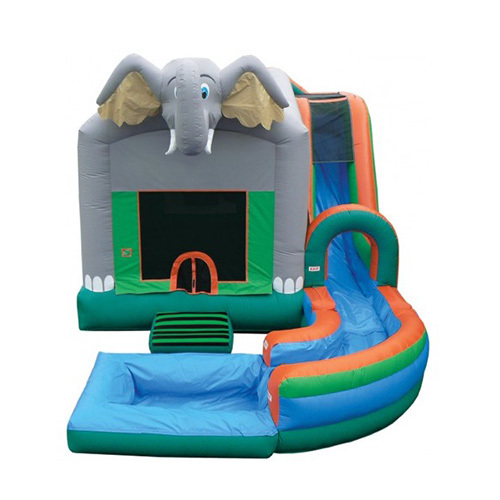 Dimensions: 18 ft x 27 ft x 17 ft. Accommodates 10 to 15 kids.